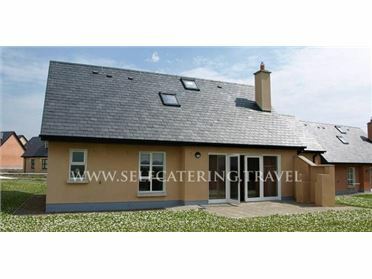 Mullagh Cottage is a delightful, detached cottage situated a short drive from the village of Mullagh in County Clare. The cottage is set solely over the ground floor, and can sleep four people in one double room, a twin room, and a shower room. There is a kitchen with a dining area, and a sitting room with an electric fire where you can relax by on chilly evenings. Outside, make use of the front lawned garden and the rear patio, both with furniture, and there is ample off road parking. Set in a beautiful region with stunning seascapes and luscious countryside, Mullagh Cottage offers the perfect base for families and friends discovering the Emerald Isle. County Clare has so much on offer; boat trips, quirky pubs, seaside resorts and a great tradition for Irish music, all set amidst spectacular scenery such as the towering Cliffs of Moher and the fascinating landscape of The Burren. .